The latest episode of Game of Thrones has much of what we've come to expect of the series; high octane action, little sense. 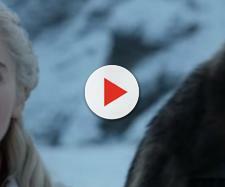 The penultimate episode of this season of ‘Game of Thrones’ has been released. It is an excellent episode filled with tension and action, but as I’ve stated in the past, lacking in any real logical sense. But first, we’ll start with what makes this episode fantastic. And as if it were not obvious enough, spoilers below. If you have not seen the episode yet, turn back now. This episode finds us where we left off last time; seven of the coolest characters still alive in Westeros have teamed up to go beyond the Wall on a suicide mission to steal a wight and bring it to Queen Cersei as proof of the Army of the Dead. While the plan is ridiculous, seeing these characters together, whether it’s discussing their differences, realizing their connections, or fighting against the undead minions of the Night King, is incredibly satisfying for a long-time fan of the series. Indeed, “fan-service” is probably the best word to describe this season. Seeing Jorah and Jon talk about who should have the Valyrian sword Longclaw, or laughing at Tormund and the Hound’s interaction in regards to the “giant woman”, feels so rewarding after having watched these characters go through separate storylines for the last six seasons. In the end, the living find themselves trapped on a tiny island surrounded by a freezing lake and beyond that, the Army of the Dead. One of the seven, Thoros of Myr, has died. Their only hope is that Gendry is able to reach the Wall and warn Daenerys of their predicament. In an incredibly epic moment, Daenerys arrives with her three dragons just at the right moment, as the remaining five heroes are fighting for their lives. One of the dragons, Viserion, is killed in the escape and raised by the Night King to serve the dead, but hey, at least they now have a wight to show Queen Cersei, so mission accomplished. Meanwhile, the tension between Arya and Sansa remains confusing. Sansa is worried about what Arya will do and is incredibly unsettled when she finds her collection of faces, as anyone would be. It is, at this moment, very unclear where this story is going. Will Arya betray Sansa? Kill her? It seems unlikely. Littlefinger’s efforts to cause friction between the two sisters appear to be working well, but so far this plot seems a bit unnecessary. Perhaps Arya is playing a long game, conscious that she may be watched. All will hopefully be revealed in the finale, however. What was really surprising was how few deaths there were. Thoros dies after succumbing from bear wounds and likely intense cold, but otherwise, our characters escape unscathed. Firstly, it should be clear that I do not believe ‘Game of Thrones’ is only good when characters die. But as I’ve argued before, the show is about consequences. Seven men go out beyond the Wall on a suicide mission, and only one dies, with no wounds sustained by the others? It is even more jarring when we see characters who are put into positions where death is the only logical end, but are miraculously saved. Jon Snow emerges from the ice-cold water (hypothermia does not seem to affect him), surrounded by enemies, with no hope of escape, and then…his long-lost uncle, Benjen, rides in and saves the day, gives him his horse, and everything is fine. This is an example of deus ex machina, where a character is saved by a last-minute event that was not previously foreshadowed. The audience may remember that Benjen was alive from previous seasons, but there has been no indication recently that he was aware that Jon would be here. It feels cheap of ‘Game of Thrones’, which has always been about tight storytelling, with heavy consequences for even the simplest mistakes, to have a main character saved by such a lazy storytelling device. 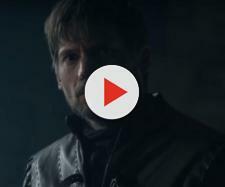 The episode ends with Daenerys and Jon fully committed to one another; Daenerys now believes in the Army of the Dead and will fight against it, and Jon has agreed to bend the knee to Daenerys. An obvious romance also seems in the works, though if Jon ever finds out he’s Daenerys’ nephew that might complicate matters. They are presumably on their way to show Cersei proof of zombies (which is hilarious considering who her bodyguard is), and I imagine nobody thinks Cersei will quietly acquiesce to this plan. The question is, will she be luring them into a trap now, or betray them later? The finale will hopefully have the answers to our questions. This episode was riveting, but with many of the same flaws and qualities that all episodes of ‘Game of Thrones’ have this season. High on excitement and low on logic, the show has certainly lost many of the traits that made it so incredible in the first place, but that does not mean it isn’t worth watching. On the contrary, I am still eager to see what happens next. Did you enjoy this episode? Leave a comment below.